Do you have the best policy for your needs? New types of life insurance policies come out every few years and mortality tables are updated every decade (meaning lower premiums due to longevity). Because of this, it is pertinent that you understand the full benefits of your policy and if it is still the right one for you. Our financial advisors stay up-to-date on all current and past policies offered and can help you get the most out of your policy. With a little bit of information from you and your current policies, our financial advisors can tell you if you’re overpaying, potentially helping to save you money and/or ensure that your policy doesn’t expire before it’s need to pay out. We can get numbers from carriers in the industry and make sure you have the right type of policy to suit your needs at the best available price. 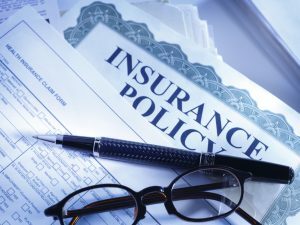 If you are ready to better understand your life insurance policy and know that you are fully utilizing your benefits, contact the financial advisors of Successful Financial Strategies. We have offices in Arden and Hendersonville. To retain your assets you may need a strategy in place. We are here to help you do just that. In addition to helping your get the most out of your assets and investments, we can also help you in your retirement planning, wealth management, life insurance planning, tax planning, and more. Contact us or fill out the form below to speak to a financial advisor at Financial Successful Strategies. Be sure to check out our current financial seminars offered, our radio show, blog, and other resources! Should you own life insurance? How much should you have? Is your current life insurance structured to do what you think it should do? These are all questions we address. Starting Social Security without a plan could mean thousands of dollars missed during your retirement years. With Social Security and retirement planning, you can see when would be the most beneficial time to start you benefits, and make an educated decision. We are not CPAs but we do understand that taxable investments can cause short-term and long-term financial consequences. Learn more about this proactive step towards prosperity. Investment advisory and financial planning services offered through Planners Alliance, LLC, a SEC Registered Investment Advisor. Subadvisory services are provided by Advisory Alpha, LLC, a SEC Registered Investment Advisor. Insurance, Consulting and Education services offered through Successful Financial Strategies. Successful Financial Strategies is a separate and unaffiliated entity from Planners Alliance, LLC and Advisory Alpha, LLC.